With an alarming increase in the number of diabetes cases by the day, more people are looking at alternative remedies to control these lifestyle diseases. Although yoga and meditation are not a complete cure for diabetes, it definitely helps in keeping blood sugar levels in check in a more natural manner. Diabetes is generally categorized into Insulin Dependent Diabetes (IDDM) and Non-Insulin Dependent Diabetes Mellitus (NIDDM). While the former is dependent on insulin, as it is the mainstay of therapy, the latter, which majority of the population have, does not always require insulin for its treatment and can be managed by oral anti-diabetic medications. In diabetics, pancreas fail to produce adequate quantity of insulin, which is responsible for maintaining and controlling blood sugar levels, leading to diabetes. Various studies have confirmed that yoga can positively stimulate pancreas, which is associated with cells related to insulin. Apart from pancreas, yoga also has an impact on the functioning of liver and kidneys. It does so by causing a mind-body co-ordination, which improves one’s emotional and mental stability. 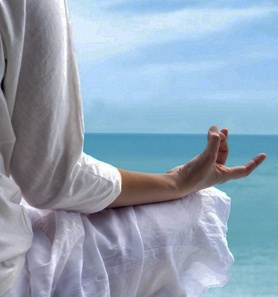 Some particular asanas, breathing techniques, and mudras have an impact on pancreas, leading to stimulation of blood glucose levels. Makarasana – stimulates kidney function, activates bladder and digestive system and counters diabetes. Halasan – compresses abdomen, stimulates pancreas, promotes healthy thyroid and prostate gland functioning. Dhanurasana – reduces abdominal fat and obesity. Paschimottasan – impacts spine and internal abdominal organs. Mudras & kriyas: Pran Mudra, Apan Mudra and Surya Mudra are beneficial to diabetics. Kriyas that are beneficial would be the Nauli kriya and Danda Kriya. Breathing techniques: Breathing techniques like pranayama helps, especially Kapalabhati and Anulom Vilom. On the whole, a complete yoga practice, with its backbends, forward bends, controlled breathing, invigorating and calming poses are a balanced exercise regime to counter diabetes. Regular practice of yoga and meditation removes stress. This in turn reduces the amount of glucagon and improves the action of insulin. Yoga is successful as it creates a balance in the nervous and endocrine system, which in-turn influences all other systems and organs of the body. When practising meditation sitting in the Siddhasana pose, the energy is directed from lower psychic centres upward through spine, thereby stimulating brain and the whole nervous system. It redirects blood circulation to lower spine and abdomen, toning the lumbar region of the spine, pelvis and abdominal organs, in-turn stimulating pancreas and helping diabetic patients.